Help Us STAMP OUT Despair! New Jersey is home to the first immigration detention facility in the world, Ellis Island. Let’s stamp out despair in New Jersey now! Join First Friends, one of the oldest visitation programs in the country and a member of CIVIC, this month! 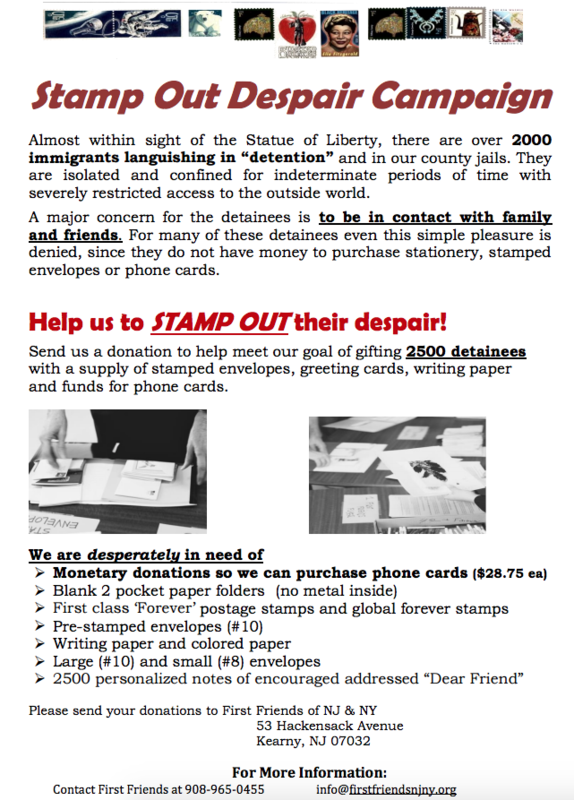 And to become a regular pen pal to people in immigration detention year-round, learn more here.